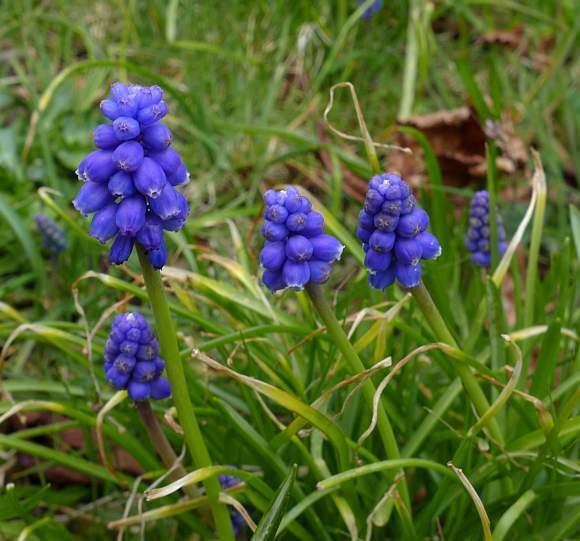 Unlike the native Grape-Hyacinth with its dark blackish-blue flowers, Garden Grape-hyacinth is a garden escapee with bright royal-blue flowers. Spreads either by seed or vegetatively. 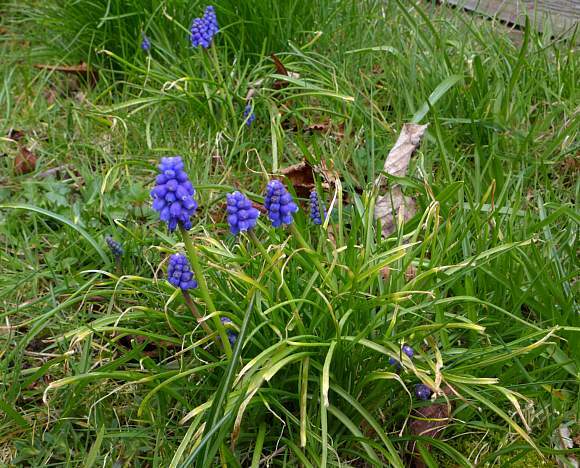 Like Grape-Hyacinth the leaves are linear to oblanceolate. 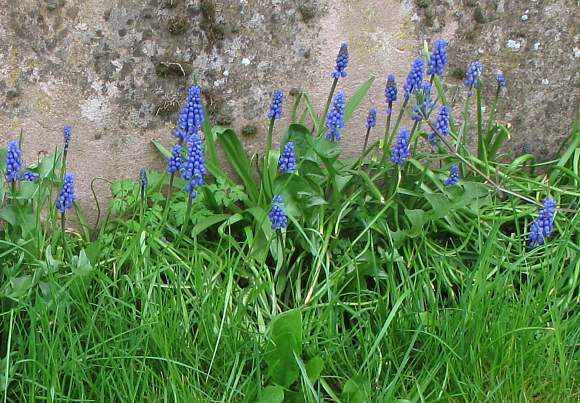 Like Grape-Hyacinth the flowers are in a clustered spike at the top of a smooth stem. 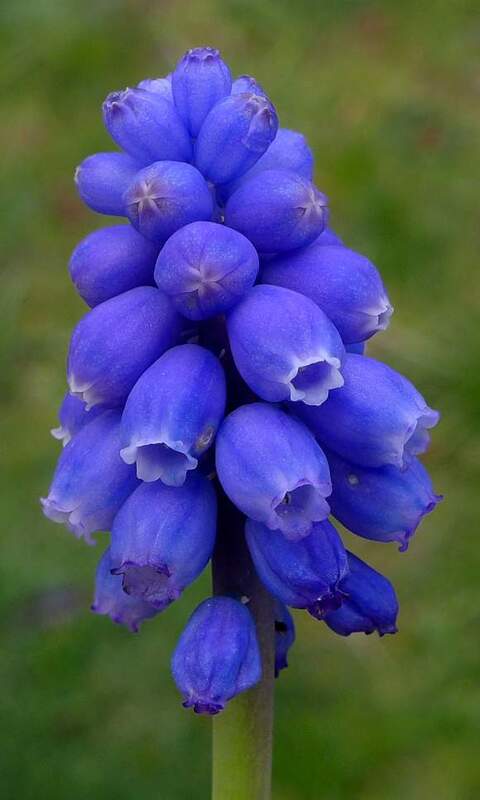 The flowers at the top are sterile like those of Grape-Hyacinth but the fertile flowers below are slightly smaller at 3.5 - 5.5mm (as opposed to 3.5 - 7.5mm for Grape-Hyacinth). 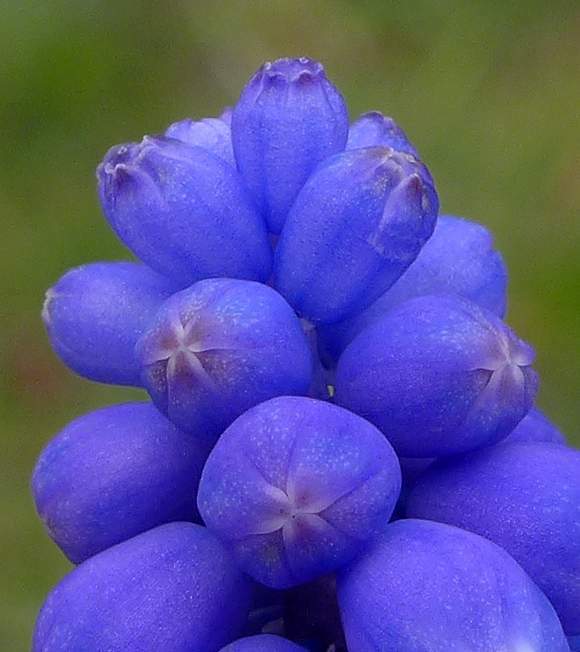 The flowers are oblate spheroids before opening. The opening is small and has 6 very short peeled-back petals / tepals which are either whitish or heliotrope light-purple. 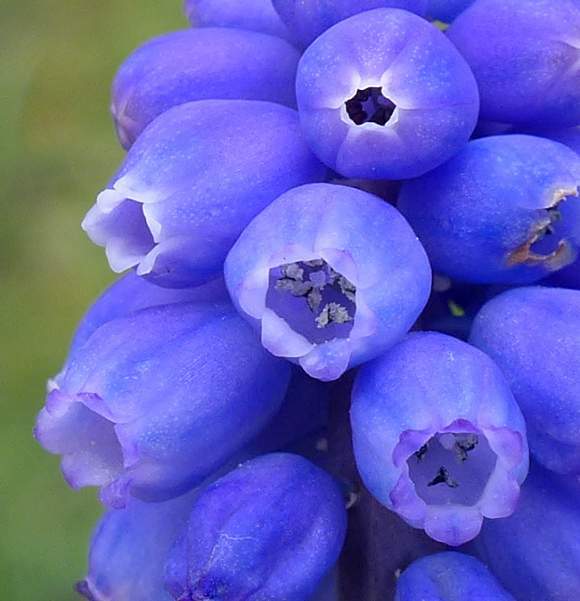 The closed flowers show that there are three outer tepals and 3 inner petals, as usual for the Asperagaceae family (but other books say they are just tepals - take your pick). 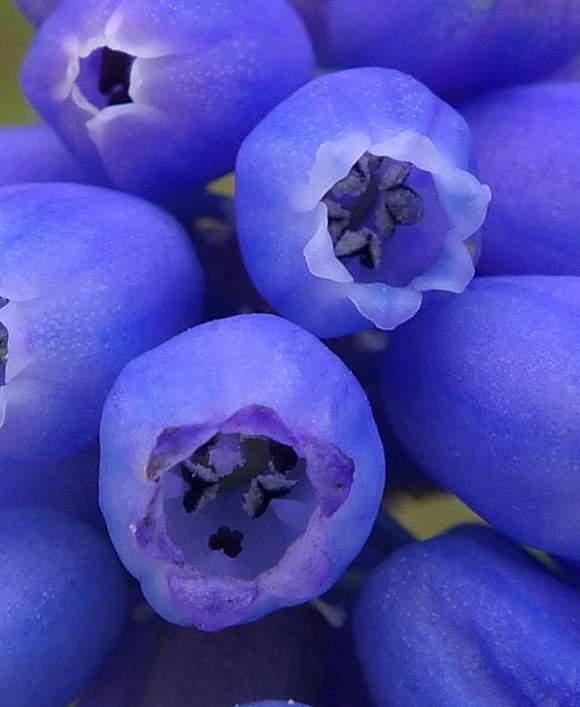 The fertile flowers have six stamens bearing white pollen and 3-celled ovary (hidden within). Dark anthers with white pollen. Not to be semantically confused with : Oregon-grape (Mahonia aquifolium), Black-grape Cotoneaster (Cotoneaster ignotus), Grape-vine (Vitis vinifera), Water Hyacinth (Eichhornia crassipes) [plants with similar names belonging to differing families].